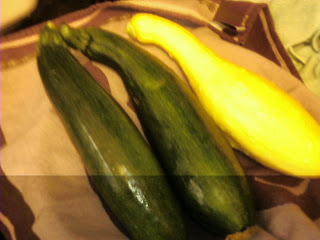 Today's harvest was 2 zucchini and our first crook neck squash. I'm already taking extra zucchini to my coworkers. This zucchini will be grilled tomorrow. Yum!